Are you thinking of moving to the remarkable Aix-en-Provence? Situated in the Provence-Alpes-Côte d’Azur, Aix is the historic capital and the richest city in the region. The town has an approximate population of 142,352 in 2018, which is a similar size as living in St Albans in Hertfordshire (but with a much sunnier summer!). 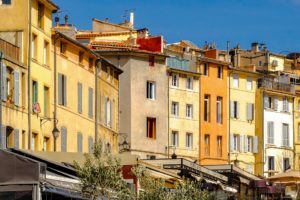 If you’re thinking of moving to Aix-en-Provence, check out our expat guide for some tips! 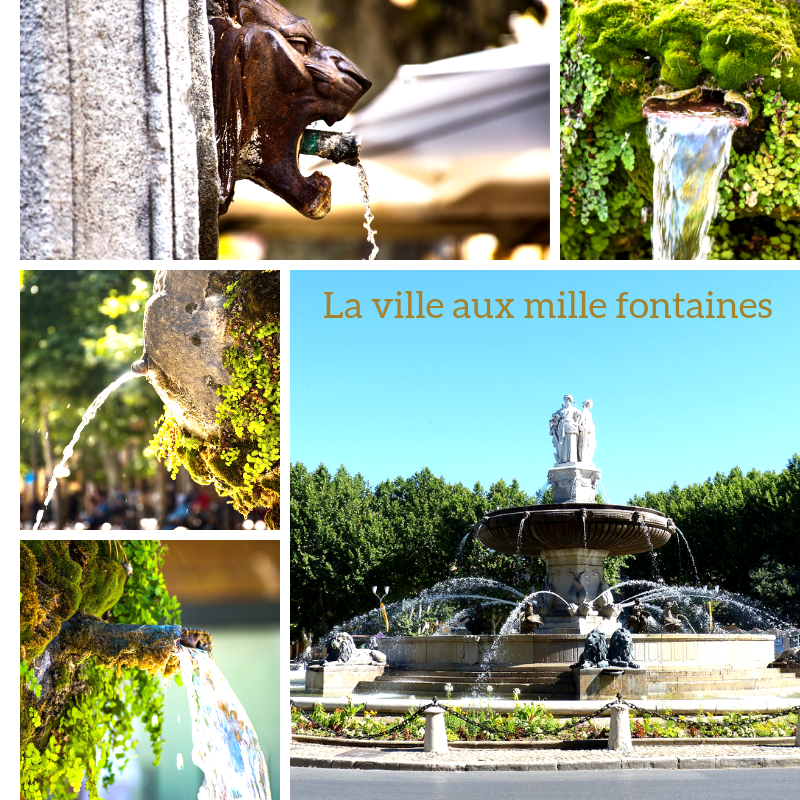 Aix is a provençal town known as “La ville aux mille fontaines” (“The city of a thousand fountains”). When wandering through its narrow streets you won’t only see fountains, if not all the other elements that contribute to the city’s beauty and uniqueness. Such as the wonderful mountains, unique architecture, diverse local markets and stunning gardens. You can start by wandering through the narrow streets of the city’s Old Town. Here you will be able to absorb the architecture that Aix has conserved over the years. In close proximity is the main boulevard of the city, Cours Mirabeau, where you will find cafes, bookshops, trees, markets and much more. Also, at the end of the boulevard is the biggest fountain in the city, the Fontaine de la Rotonde. Musée Granet: A wonderful 17th century styled museum with a wide range of outstanding paintings. At the back of the museum, sits a relaxing square with a fountain. A perfect place to take a break from exploring the city. Also, the museum is currently hosting an art exhibition from various artist until the 31st March 2019. Hôtel de Caumont: A beautiful art centre representing 18th century French architecture. Exhibitions are also being held in the museum until the 24th March 2019. Paroisse Cathédrale Saint Sauveur Aix-en-Provence: A cathedral with an architectural mixture of Romanesque and Neo-Gothic style, illustrating a Roman Catholic church. Musée Estienne de Saint Jean: A mansion portraying the French 17th century style and the life that nobles used to live at the time. While exploring the city, you may notice the importance that art has in Aix. Part of this is due to Paul Cézanne. Paul Cézanne was a French artist born in Aix-en-Provence. 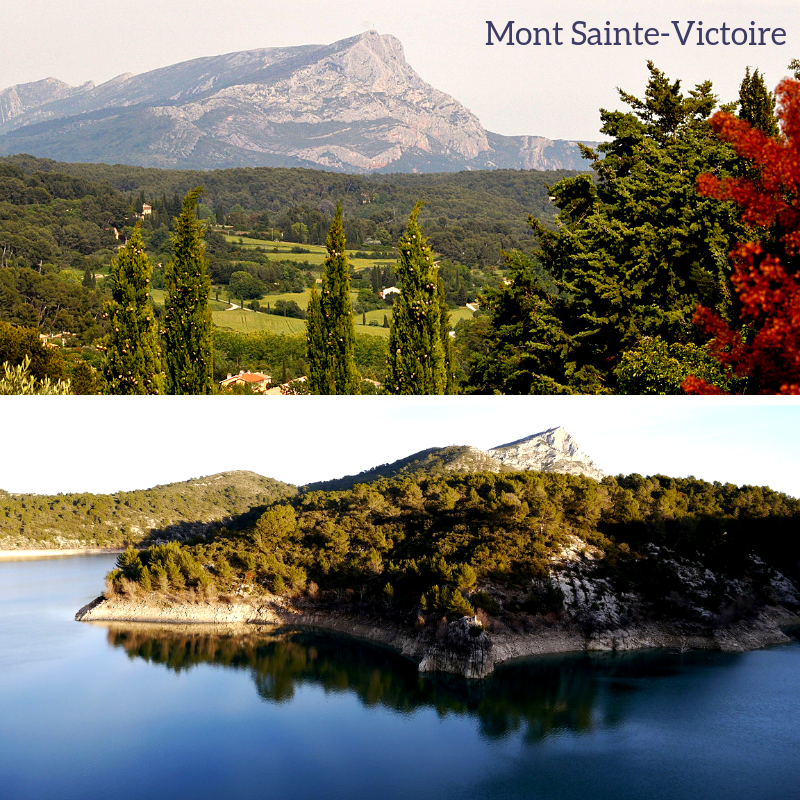 One of his many paintings is of the beautiful Mont Sainte-Victoire. The artist loved painting the beautiful mountain from all different angles. One of the places where Cézanne painted the stunning Mont Sainte-Victoire was from Lauves’ hill by the chemin de la Marguerite. 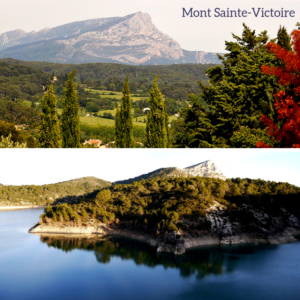 A lovely area to observe the mountain and Cézanne’s paintings, as well as to enjoy a picnic and some quietness. Nearby is the painter’s studio, Atelier de Cézanne, which is now accessible to the public. This is where he lived the remaining years of his life. Many of his possessions remain in the studio, so you could get an idea how the talented artist used to live. Another area that spiked Cézanne’s inspiration was Le Terrain des Peintres. A lovely park where even to this date, people go to paint and absorb the inspiration the artist once possessed. If you don’t feel like walking around, there is a mini tram that takes you to see all the main sights. Furthermore, you can also visit the Camp des Milles. The only French internment and deportation camp remaining from World War II, which is now open to the public. This may not be the most exciting place to see, but it’s a part of our history. As the majority of cities in France, Aix also has a well-known football team, Pays d’Aix Football Club. They play regularly throughout the year in the Provence Départemental 2. Moreover, the Iron Man 70.3 du Pays d’Aix will be hosted in Aix on the 12th May 2019. A 113 km triathlon with approximately 1500 athletes participating in it. Definitely worth seeing if you’re there at the time! In the Pays d’Aix, the Ronde d’Aix is the most popular and oldest event within the sporting industry. This is celebrated every August with a party! 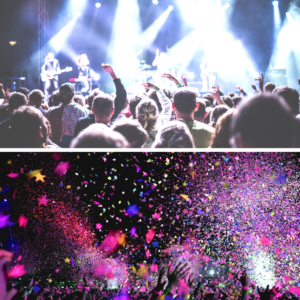 Festival d’Aix-en-Provence 2019: A brilliant opera festival with a mixture of other music which is normally celebrated in July. World Music Day: Streets filled with many artist playing various types of music (celebrated the 21st June). Musique dans la Rue: A series on free-concerts with various types of music that goes on for 8 days (normally celebrated at the end of summer). 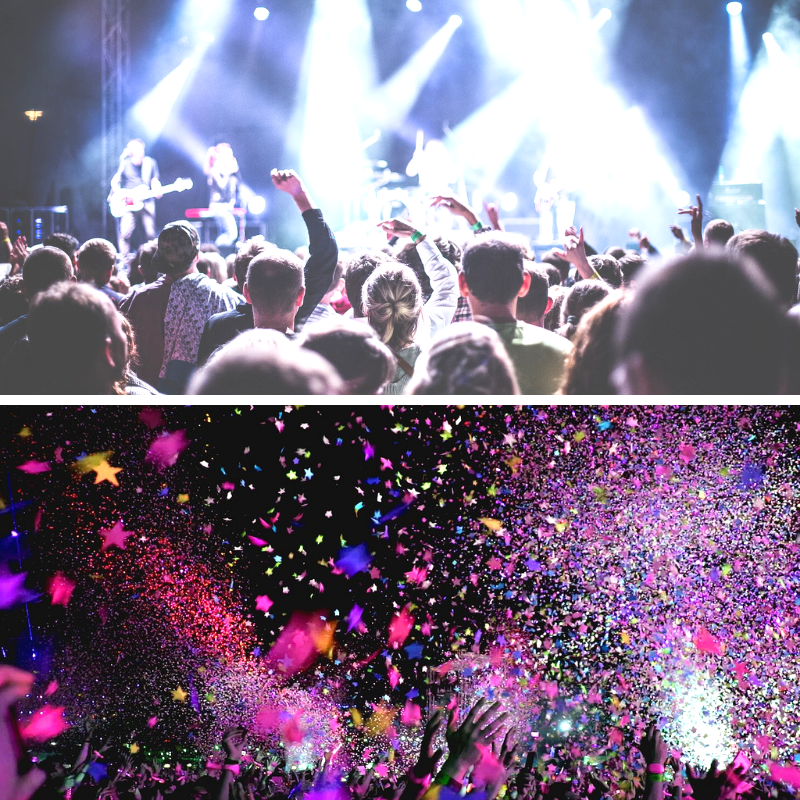 If you want to keep updated with what events are going on, the “Semaine des Spectacles” can be purchased in Aix, which contains all the activities and events going on throughout the week. A perk of living in France, is having the opportunity to enjoy it’s wonderful cuisine. 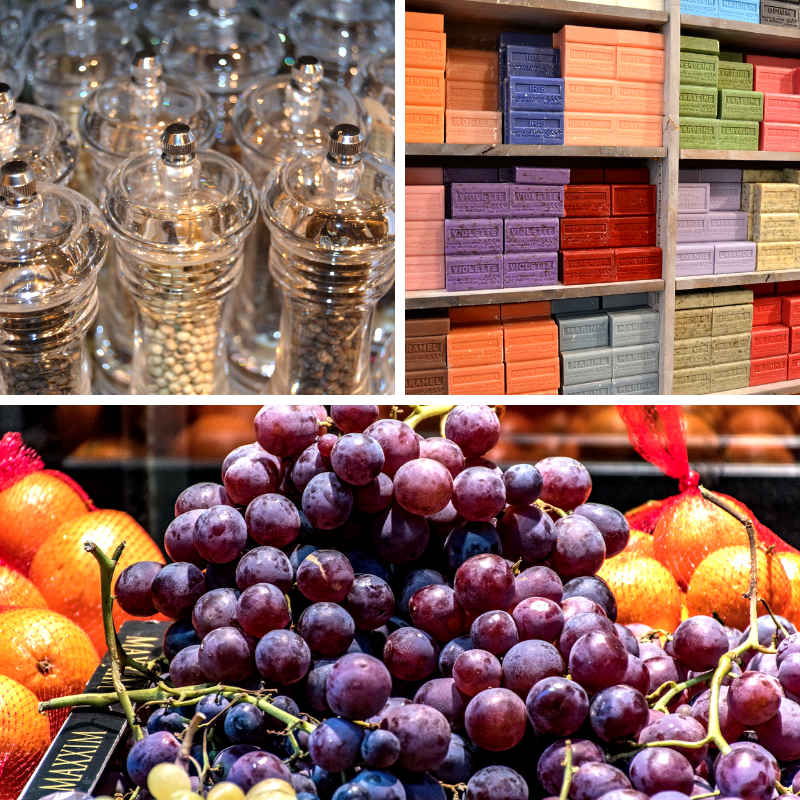 Aix-en-Provence is full of delicious gastronomy. There are two Michelin Star restaurants, Mickaël Féval and Pierre Reboul, that are focused on a creative and modernised cuisine, and they each have 1 Michelin star. So, if you are in the mood for some fancy and quality food, these are good options to go to. On the other hand, if you’re looking for a nice relaxing spot to have a cup of coffee, Le Garde Manger is the place for you. Nearby is also Book in Bar, a coffee shop with lovely scones and muffins, but that at the same time is also an international bookshop! What a better combination than drinking, eating and reading! Additionally, Maison Weibel is a lovely place to sit down for tea and enjoy some of the best pastries. If you’re exploring the city, but still have a taste for some cake, Patisserie Bechard is perfect as they only do takeaways and they are known for their delicious cakes. Their tarte tropezienne and their homemade fruit confits are a must try! Of course, not only does the country have delicious gastronomy, it also produces quality wine. For a nice glass of Rosé, Aix-Les Deux Garçons is among the oldest brasseries in Aix, situated in the centre of Cours Mirabeau. Aix is the perfect place to try some quality Rosé, as it has many vineyards, some of which have been producing wine since 600 BC. 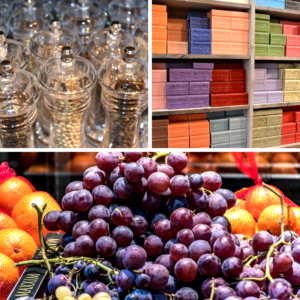 Besides producing wine, Aix also manufacture honey, lavender and callisons (similar to almond and lemon cookies) which can all be found in the local markets. When you picture a Provençal town, you normally think of a quiet place for the elderly and somewhere you would want to retire. However, that is not the case of Aix. This city is an international one, filled with students from all over the world. While you feel like you’re living in a Provençal town, with the countryside right next to you, you’re also experience life in a student-focused city. Moreover, it is easy to travel to other cities by train. Such as Paris, in only 3 hours and Marseille, in 1! If you want to find other expats in Aix, sign up to the expat societies online. For instance, InterNations is an online expat society in which you can sign up and meet all other expats in the city; or Meetup, who arrange meet-ups with other expats in the cities nearby. Moving to another country also means leaving your resources behind. Nevertheless, there is no need to worry if you don’t know the language of your new home. As already mentioned, Aix is a very international city filled with students. This is due to many international education institutions being located there, including three universities. Medical practices with doctors who speak English. Removal companies that provide their services worldwide. Furthermore, the cinema Aixois, run the majority of their movies in English. So you will not be missing out on the new movie releases either! Harrison Brook is an international financial advice firm that focuses on providing their services to expats. 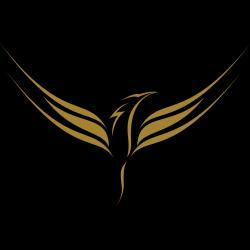 Our fully qualified advisers are here to help. If you seek financial aid or need help with any of the above services, get in touch and speak to an adviser now.